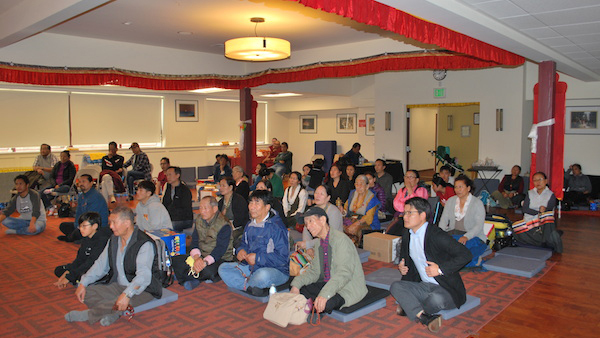 The Tibet Museum’s month long photo exhibition, film screening and fundraising campaign in North America concluded on May 26, 2018, with the final program held at the Tibetan Association of Northern California (TANC), Richmond, California. The program was held in conjunction with the prayer gathering for the holy month of Saka Dawa, organized by the Sera Jey Foundation based in California. Mr. Tenzin Rangdol, president of the TANC introduced and welcomed the Tibet Museum’s Director and his colleague. Mr. Tashi Phuntsok, director of the Tibet Museum gave a power point presentation to introduce the Tibet Museum; it’s activities and the new museum under construction in Gangchen Kyishong, Dharamshala. 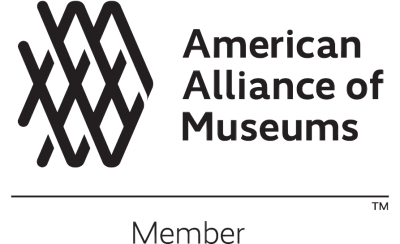 A promotional video of the new Tibet Museum was screened to give a better understanding of the new Tibet Museum project. 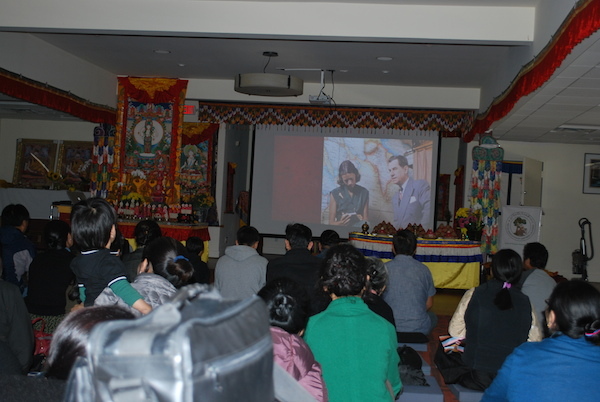 Later, the Tibet Museum screened a documentary film titled ‘Out of this world: A Journey into Forbidden Tibet’. The film features footages and still images of common Tibetan people, monks, politicians and the 15 year-old His Holiness the Dalai Lama. The film and still images were taken by Lowell Thomas Sr., a renowned Radio broadcaster and journalist and his son Lowell Thomas Jr. during their 1949 visit to Tibet, and offers a window to the life of Tibetans prior to their occupation by the People’s Republic of China. ‘Despite being an underdeveloped country in terms of infrastructure and technology, Tibetans seemed very happy and content with their lives’, Lowell Thomas sr. adds in one of his commentaries for the footage. 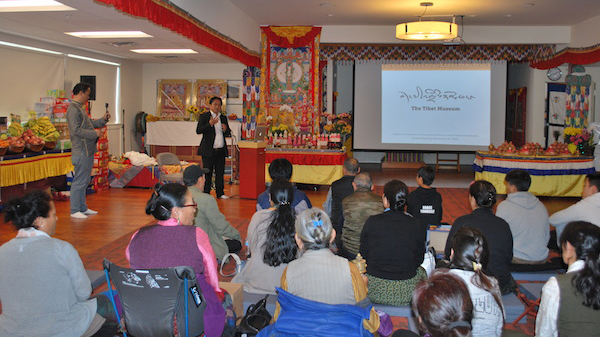 After the presentation and film screening, people came forth to donate for the new Tibet Museum project.